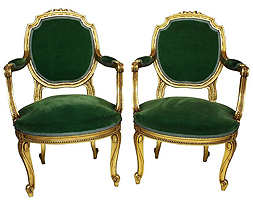 A Pair of French Belle Époque Louis XV Style Fauteuil à la Reine (Armchairs) Frames. 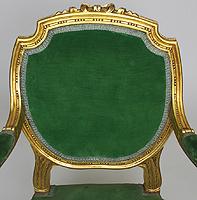 The upholstered backrest with a gilt wood carved ribbon, open and padded armrests and cabriolet legs. 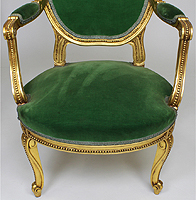 Circa: Paris, 1900-1920.